Magic Quiver is the sole distributor of Gary McNeill Concepts in the EU. You can see available stock in our online shop. Contact us anytime via shop@magicquiver.com for your custom order! You can order any of Gary's models through us, even if you don't find it in the list below. Gary McNeill, one of Australia’s finest shapers and Dave Rastovich’s board builder of choice started his journey in Wollongong, New South Wales. Growing up in a community of incredible shapers and surfers, Gary found his way into the shaping bay at the tender age of 12, experimenting with an old longboard. Throughout his teenage years Gary travelled the country to compete in regional and national events. Despite being sponsored by legendary shaper Phil Byrne, Gary continuously focused on refining his board building skills and rode many of his own designs in competition. Gary worked with industry heavy weights like Firewire, DHD and JS and spent many years in the Gold Coast melting pot of shapers, bouncing off ideas with other shapers and developing new designs. With free surfing legend Dave ‘Rasta’ Rastovich as his test pilot, Gary was able to formulate and produce some incredibly fast and effortlessly flowing boards. Gary McNeill and Rasta have been working independently under the McNeill Concepts brand for six years and are continuing to release some of the most progressive fusion boards available in the market. This is Dave Rastovich's new favourite. This short wide twin fin provides a very fun and unique feeling. It features the long Torus channel and an additional channel for added control when wiping off speed at the end of fast sections. It's width around the nose in particular is great for paddling making this model a great choice for those smaller summer days. Gary developed this board with free surfing legend Dave Rastovich in 2006/2007. Proven to be his most popular models as it's the ultimate allrounder. This board features a single to double concave and can be ordered with 4 or 5 boxes so you can play around with your fin setup. A wider outline and a domed deck hide plenty of volume for easy paddling but the elegantly pulled in tail will give you control even in bigger surf. If you only have one board this is it. Works well in any size or fin configuration and can be ordered with swallow or pintail. Medium/flat rocker and low rails with performance in mind. This is a twin variation of the Entity with a slightly different rocker line and a channel bottom with a twin fin setup. Speed! The Entity Twin Pin is a versatile allrounder that can be ordered as a stretched out step-up version also. This midlength features the Torus channel bottom and a twin fin setup. Fun little round nosed plaything that'll entertain you especially in beach breaks. A longboard shrunk to 5'5. Paddles like a Malibu but surfs like a fish. Usually ridden as a twin fin but quad setup is an option. The Rasta Torus Drive was born after an epiphany from watching the thrive movie. The bottom of the board features the same distinctive torus channels like the Torus Twin. 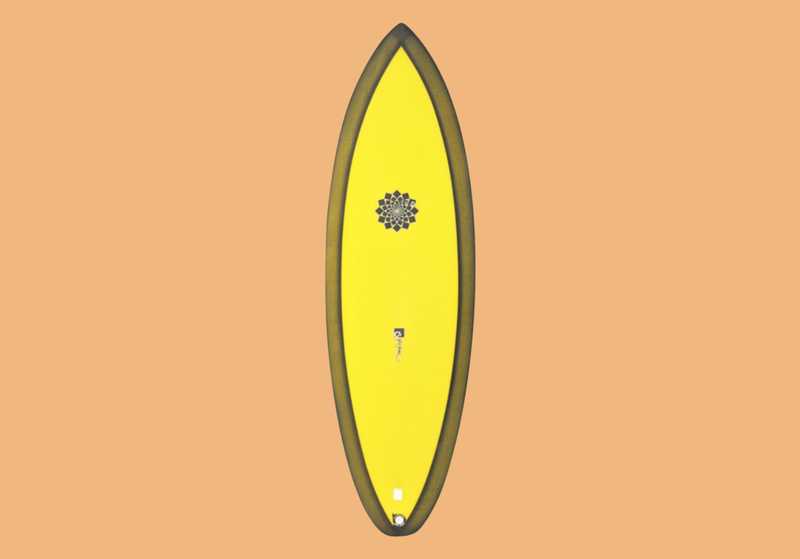 Here's a few words from Rasta: "The torus is a profound shape, and Gary applied it to a board by placing the wider points of the central channel at the nose and tail of the board which makes it easy to visualise water being welcomed into the channel then squeezed through the narrower centre point before being shot out the wider end part of the channel at the tail kind of like a venturi effect. If you were to continue drawing the lines of the channel off into the spaces beyond the board they would eventually loop back into themselves to make the toroidal shape." This magic carpet was developed with great feedback and design input from on of the best twin fin surfers on the planet… Dave Rastovich. Ride this as a 2 plus 1. A high performance fish designed with Gary's test pilot Dave Rastovich to take his free surfing to the next level. The wider outline and flat rocker hide plenty of volume and allow natural speed and paddle power .The Captain Kirk tail is basically two tails in one. The squash gives smooth transition turns and the swallow cut in gives the bite at the end of the turn. A classic high performance small to medium wave sled with a pulled in tail for a more responsive ride than your traditional fish. Low performance rails allow you a more critical approach. Several fin setups possible. Surf this in any type of wave between 2-6 ft.
Classic idea, modern twist. With the wide point forward and flat rocker the Single Fin will get you into hollow waves early, down the line and perching in the barrel. A surprisingly agile board for such a classic design. Draw some classic lines and carves with this little stunner. This beauty was designed with the weaker waves of Southern California in mind. Works great for slower, smaller waves or beach breaks. The board has a wider nose and tail and a pretty flat rocker that functions as a great speed generator. Several fin options available. Best ridden in 1-4 ft. 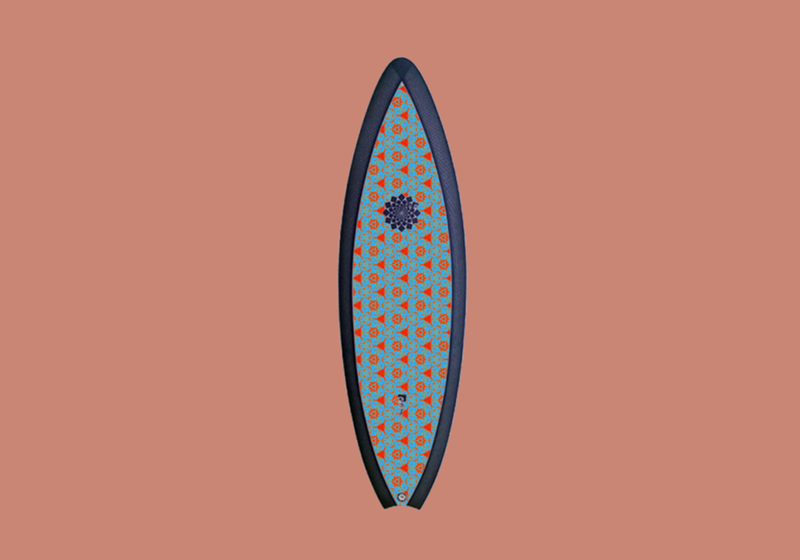 The wider nose and tail as well as a flat rocker allow easy flow over gutless waves. A great fun fish especially in beach breaks from 1-4 ft.
For the Love. This board was designed to be a great performance all rounder although better suited in fair to good waves. The wing/swallow combination gives the board great bite and pivot off the tail. The FTL can be ridden in any fin setup. Excels in 3-6ft juicy surf. 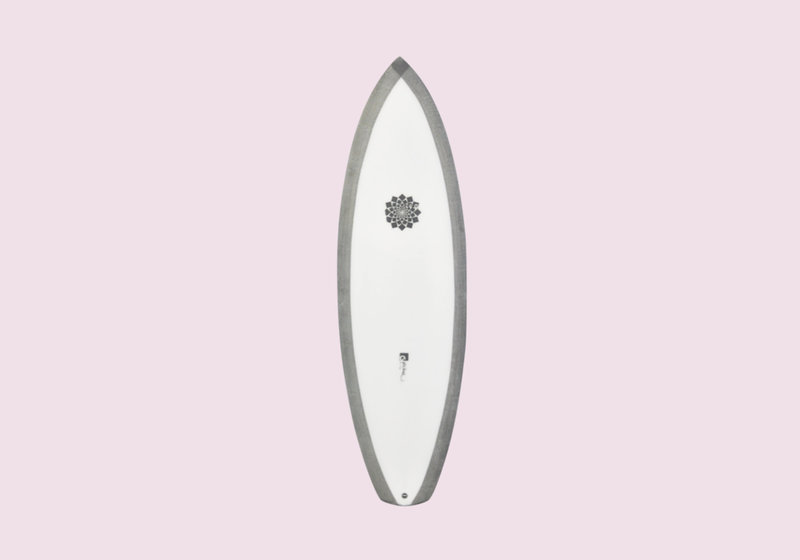 The Six bliss features a single into double concave with 6 channels on the tail. It was designed as an everyday go to high performance board and has been tweaked dot perfection by Gary and Rasta in the last few years. Works in most conditions which makes it a good travel board. The board has more volume than your standard short board and and the medium flat rocker makes the board really fast but still allows modern performance surfing in good waves. The Six Bliss can be ordered with a swallow, squash or rounded pin tail and works great as thruster or quad. The diamond tailed Godfather is a hybrid with modern rails and and contours made for performance. Gentle entry rocker under the nose eases into a flat that'll allow you plenty of glide. Extremely versatile sled when ordered as 5 fin. Surf it as thruster or quad. Works great in knee high to overhead and got you covered in most type of waves. All boards are shaped by Gary McNeill and glassed in Ericeira by professional craftsmen with only the best quality materials. We build boards to last. You can choose a clear glass job or Gary's signature inlay printed artwork. Only available with sanded finish. We also offer Gary's new and more sustainable Treetech construction method. A recycled EPS core, laminated with flax cloth and bio resin. Less harmful to the environment and no compromise in strength and performance.